We all love our jeans a lot and vouch on it every time we are confused on what to wear? It has saved all of us many times from last minutes fashion fixes, and they are going to be by our sides always no matter what. But don’t you all think that wearing denims in this scorching heat is a difficult task, its not sweat proof and becomes uncomfortable for us at few times. So, how about ditching them for a while & let them just rest in our wardobes? 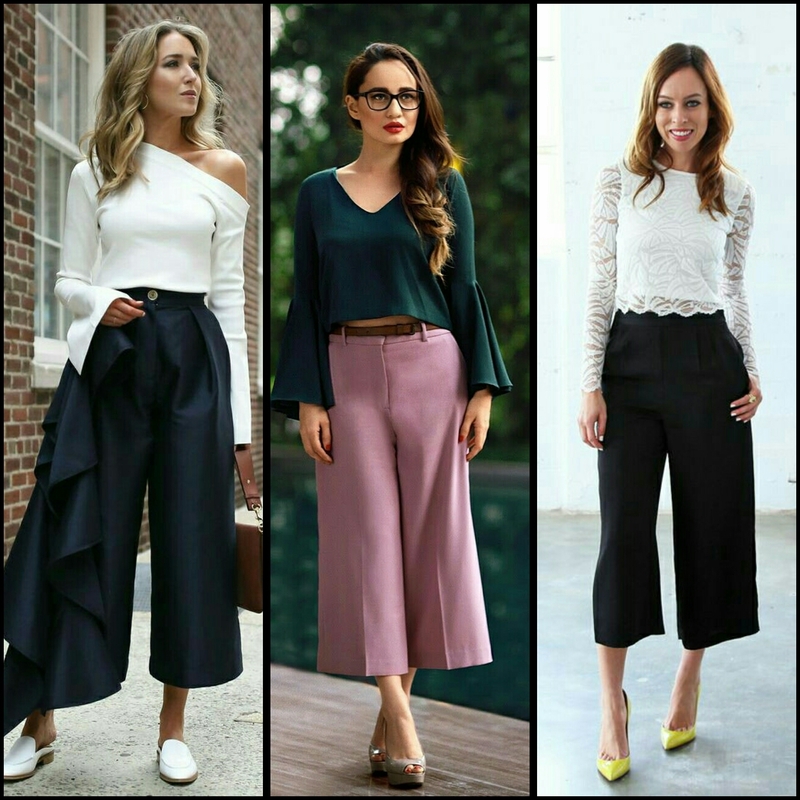 Let us all try the widely spread fashion of summer 2018, the wide leg pants or famously known as Culottes. 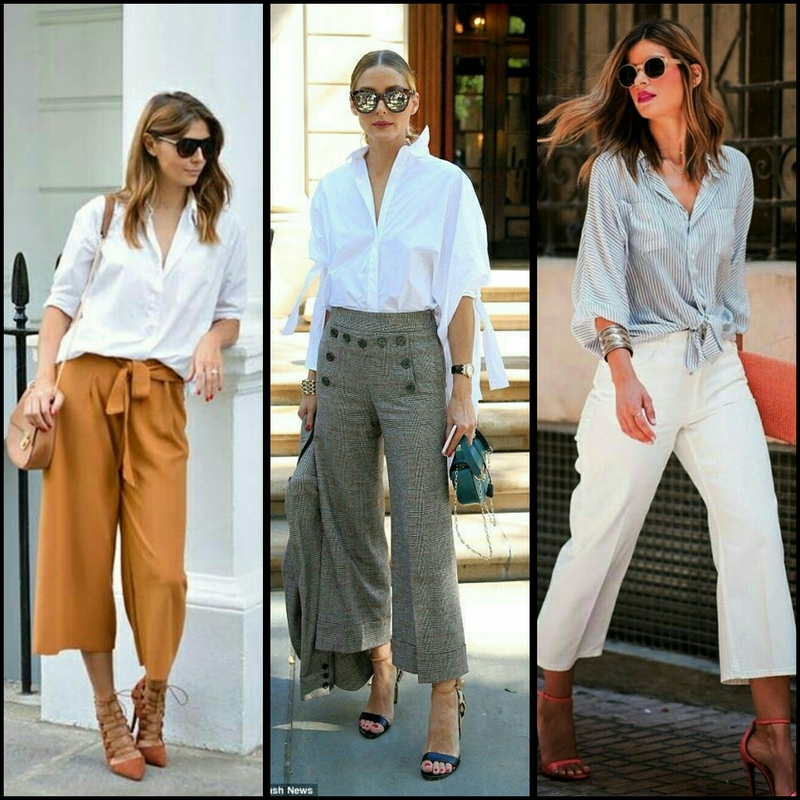 Culottes are not a new thing in the fashion world but they revived themselves and have made a huge comeback this year. It is admired by all, you can follow your adored celebrity to get inspired. It may look a bit odd at first but if you style your Culottes well, you can look a complete stunner. ● Who said only pantsuits and pencil skirts can be worn in a formal meeting? You can adorn Cullotes too, wear a solid tone plain or pleated Cullote with a shirt, tuck in your shirt and you are ready, you can also wear a similar or contrast tone blazer for more official look. Keep your jewellery minimal, a bag and a good pair of heels. ● Date night? No worries, just styles your Cullotes with a beautiful lace or off shoulder top, a sling bag and wedge heels, your beloved will surely love you over again. ● What there’s a party at night? Your much loved denims are still wet because of rains and bored of wearing dresses, Cullotes are there for your rescue, pair them with shimmery or sequinned top, highlighting makeup, statement earrings and you are ready to rock that party. ● For a casual day out with friends, pair your striped or plain cullotes with t-shirts or crop tops, don’t forget to carry your backpack or totes according to your preference, sneakers can be worn if you’re wearing a T-shirt and flats will look good with crop tops. 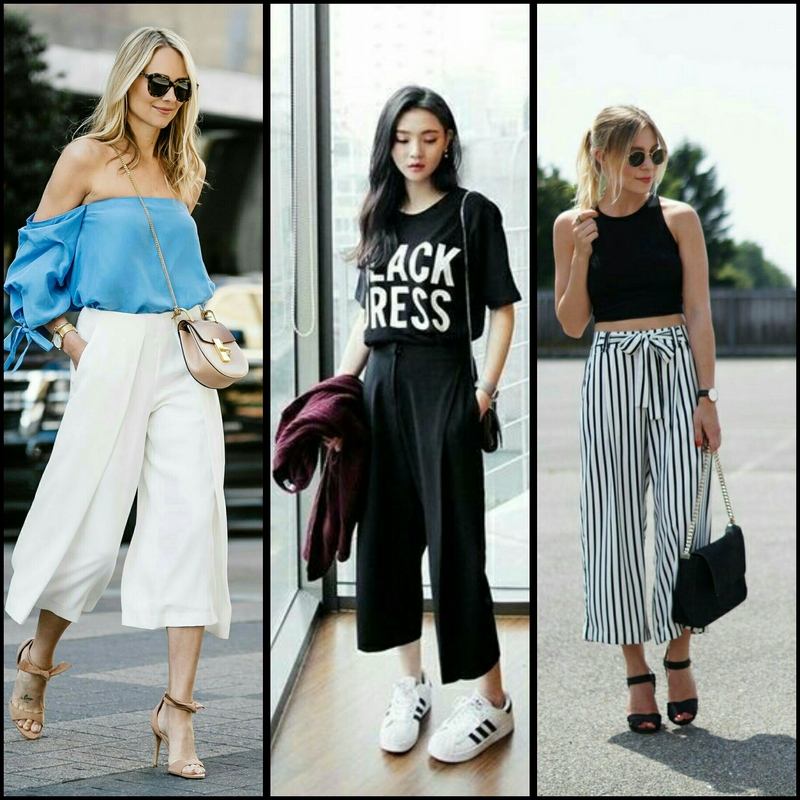 Cullotes are a definite try for this season for all the fashionistas, you will never go wrong if you will follow these tips by Metroholica, just don’t forget to….Be Fashionable….!! !